Trick and Tips for Cooking Fish. Most doctors say that you should eat more fish. It is very high in protein and low in calories, especially the white fish varieties. And oily fish, while having more calories, is high in omega-3 fatty acids, or the “good” fats. If you don’t care for fish, it may be because you are not cooking it correctly. 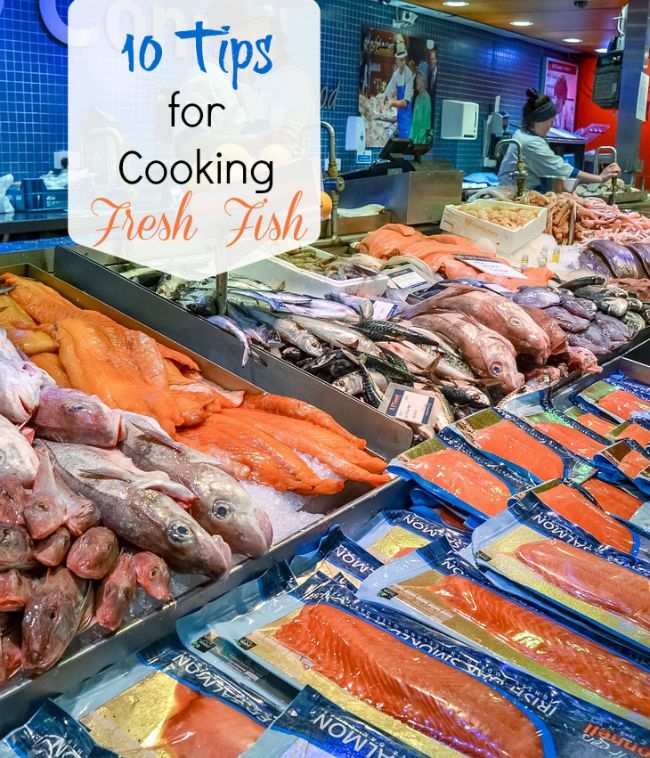 Follow my 10 cooking tips for Cooking fresh Fish and you may find that fish will become a favorite of yours. 3. Speed of cooking. Fish is not one of those proteins that improve with long cooking time. Most fish recipes are prepared very quickly. 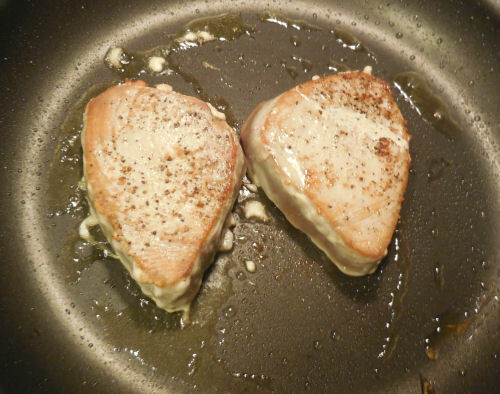 Sometimes just 3-4 minutes in a hot skillet is all you will need with thin fillets. Overcooking makes it tough and dry. A good rule of thumb is 7-10 minutes per inch of fish. You can tell, while cooking. When it is fully cooked, the fish will begin to flake and break apart, and will change in color from translucent to opaque. 4. 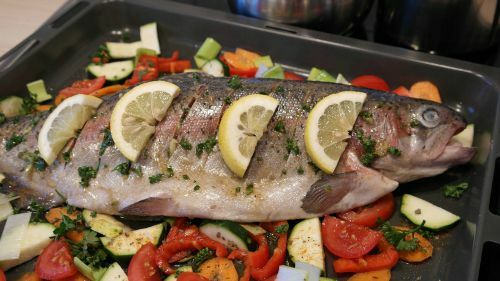 How to cook Fish: (some links in this article are affiliate links.) 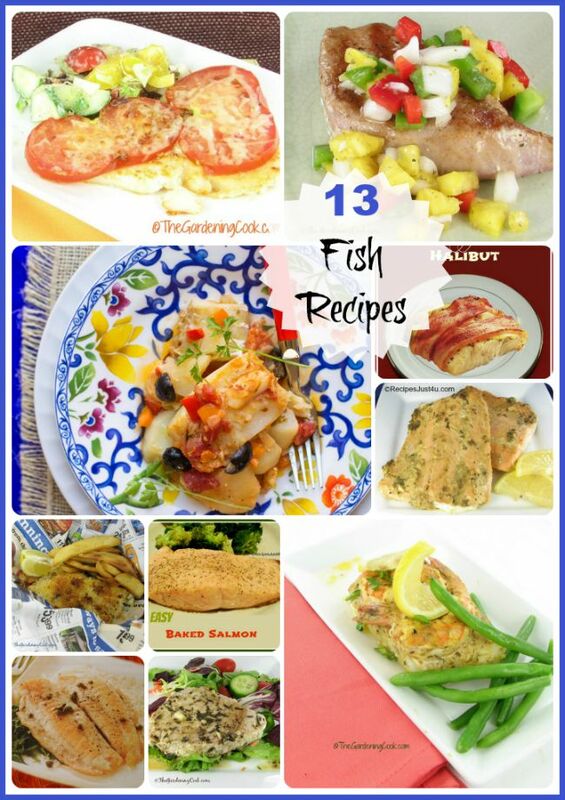 Looking for fish recipes? Here are some. 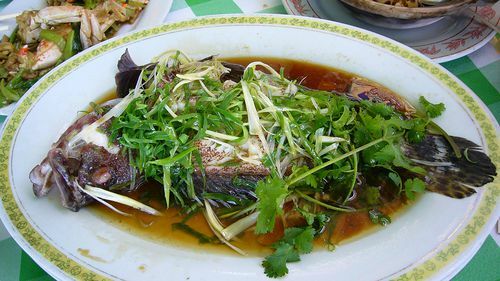 Poaching – place the fish on a bed of aromatic flavors such as fresh herbs and vegetable broth. Cover and Simmer until done. 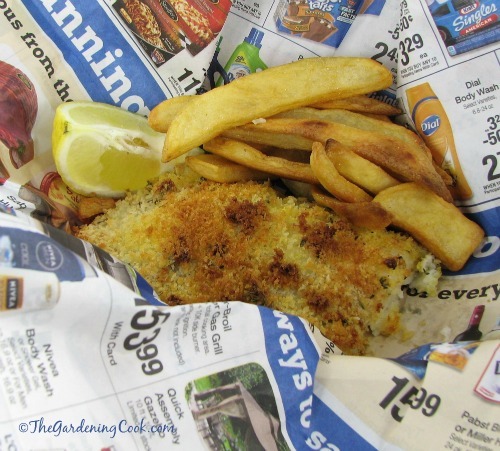 Wrapped – wrap the fish in parchment paper or aluminum foil with seasoning ingredients. Bake it at 400º for 10-15 minutes. The steam will cook the fish. Breaded – but don’t fry. Coat with Panko bread crumbs and spray with buttery cooking spray and bake at 400º for about 15 minutes. Sauté – My favorite method of cooking fish is to saute in extra virgin olive oil over a medium heat until it just starts to flake with a fork and is opaque. Broil – place 3/4 – 1 inch fish fillets 4 inches from the broiler and cook for about 8 minutes. This is my favorite way to cook scallops. 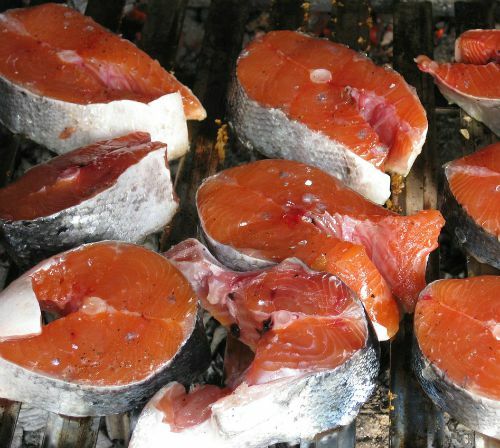 On The Grill – Most fish can be cooked outside on a grill. A fish grill basket is great for this. For direct heat 5-6 minutes will usually do it. Thicker fish, such as halibut or salmon steaks can be cooked right on the grill bars. 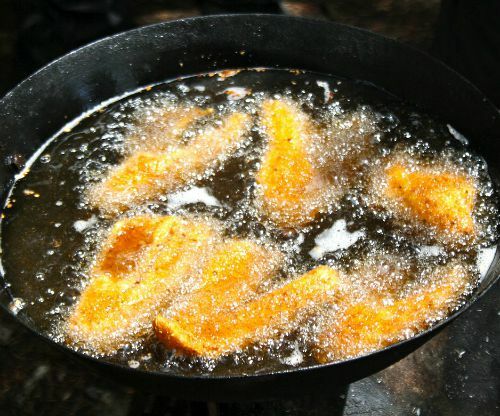 Deep frying – Coat your fish and cook quickly in 350-375º in a deep fryer or several inches of oil. Great for fish and chips style meals. 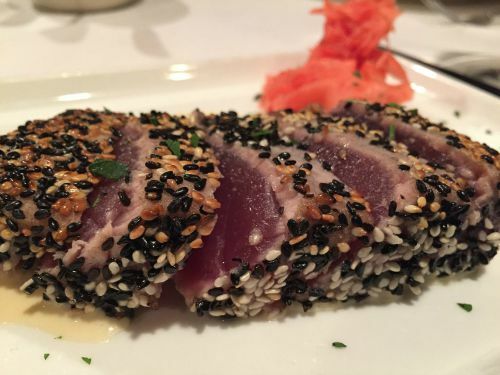 Rare fish and sushi – some top quality fish, such ahi tuna can be served very rare or even raw, as in sushi. There are dangers with consuming raw fish, though, so take care. 5. Checking done-ness. There are several ways to check to see if the fish is done. appearance – the thickest part of the meat will become opaque. flaking – use a fork or knife to see if it flakes. Be careful with this one, though. If fish flakes too easily, it is over done. 6. Don’t cover when done. Fish is best served immediately. If you cover it, the fish will continue to cook and become dry. 7. Good flavorings – Citrus fruits, such as lemon and limes go great with fish. Seasonings are often just salt and pepper, but many spices and vegetable pair very with fish – dill, fennel, leeks are often used. 8. Frozen fish. 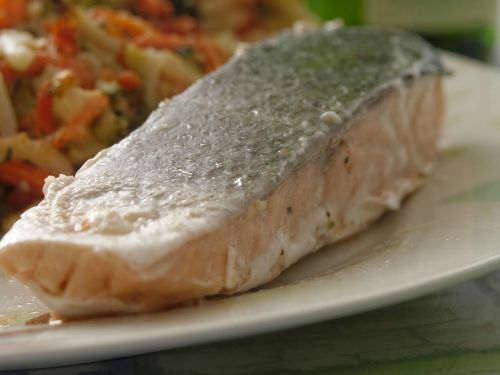 Fish is best cooked thawed, but if you cook frozen fish, add additional cooking time. 9. Oily Fish. 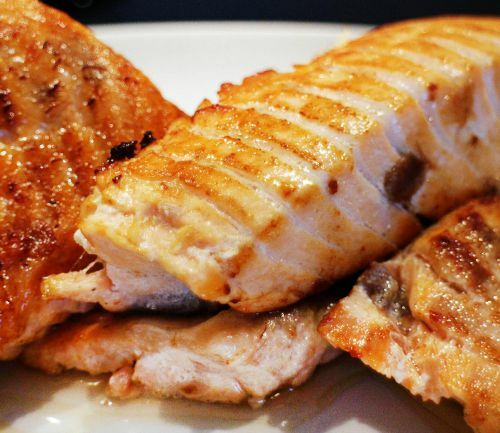 Fish that it oily is best grilled, broiled, steamed or poached so that their fats drip away during cooking. 10. Bones. No one likes a mouth full of bones when eating fish. 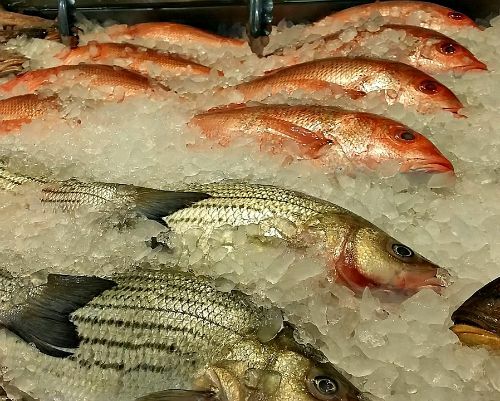 Be sure the the fish you buy is boned, unless you are cooking whole fish. If any bones remain, use tweezers to remove them. This video shows how to remove pin bones. 5. Oven baked Cod and Shrimp with lemon mustard. 6. Red Lobster Nantucket Baked Cod and Tomatoes. 7. Ahi Tuna with Tarragon butter sauce. 8. Caribbean Grilled Snapper with Pineapple. 9. Yellow Fin Tuna with Pineapple salsa. 10. Parmesan crusted Tarragon Salmon. 12. Tilapia with wine and capers. 13. Slimmed Down Fish and Chips. 14. Toasted Sesame Ginger Salmon.